You can like Noah's Facebook page HERE and contact Fi one of the lovely ladies from team Noah via email .... Fi@childcareisfun.co.uk. I spotted a tweet from Real Housewife of Suffolk County with a link up to a weekly diary of what you have done in the last week! I would love to do this as you soon forget and its great to look back! This is brief as my memory has gone!! 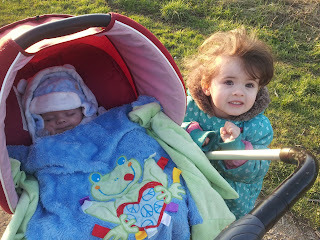 Callum was still suffering from a horrible sickness bug which lasted 5 days poor little man. 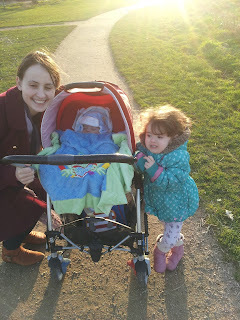 I had nearly run out of Josephs medicine for reflux called Ranitadine so we went to the doctors and after weeks of hassle with a number of doctors about prescribing milk the doctor offered to prescribe with no problem. I was shocked still am. I will go more in detail in another post. Myself and Annabelle took lots of pictures of my new business cards which I have got a giveaway to win a 1000 with 4 winners. Phil was back to work after nearly a week due to unexpected news from work. Bit up in the air at the moment but looks like he will be looking for another job due to redundancies. Callum was better so we spent most of the day at home and he was very tired so had a afternoon sleep which isn't usual for him. I did notice white bits on Josephs tongue but decided to wait a day incase it was milk. It didn't go but wasn't upsetting him. The children enjoyed lots of ice lollies today. After weeks of planning a night out I realised I didn't have a dress. So looked online as there was nothing in my local town. I love the lace dresses and the skater dresses are in. I ordered from boohoo.com. It took me forever to choose. The children enjoyed role planning with the baby carrier and lots of puppy teddies then I also took the children to a play area/cafe in one of my local towns. I went with sister who is expecting a baby is May. The children love it there and so do I. I prefer it to the playbarns as I do not pay to enter, only for food and drink. It has toys and a small play area based for under 5s. We ended up at the doctors again to get medicine for Josephs thrush. Feel like we live there at the moment! 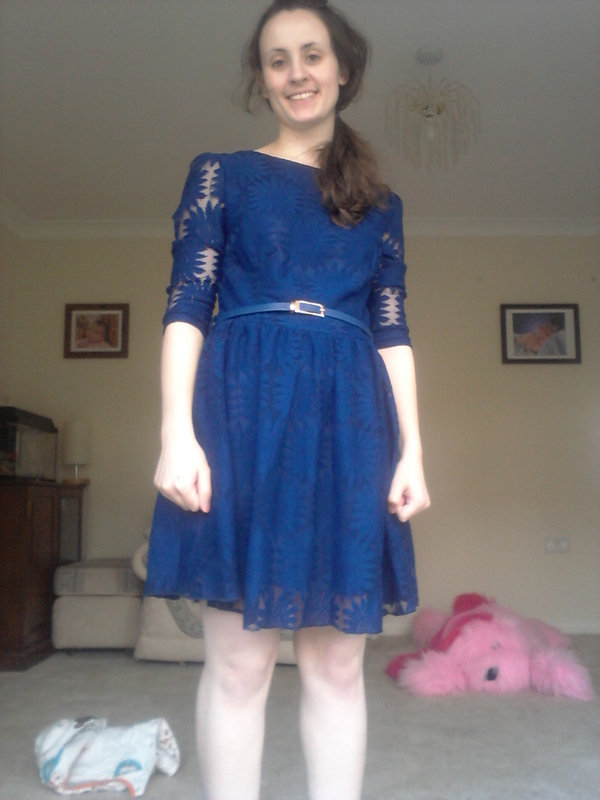 The dress arrived very quickly but unfortunately I looked stupid. I had to pick Phil my other half up from work at 6 and rush to Hanley in stoke as its my nearest bigger retail park. Luckily found a lovely dress but I was very disappointed with the range at the moment. I also bought a few beauty products which I love. I really needed a pampering after having a baby. Here is a photo of the dress I am sending back. I decided that I had to go for a bra fitting as I have lost weight and I could tell that it wasn't the right size. I am glad I did as I was wearing the wrong size . 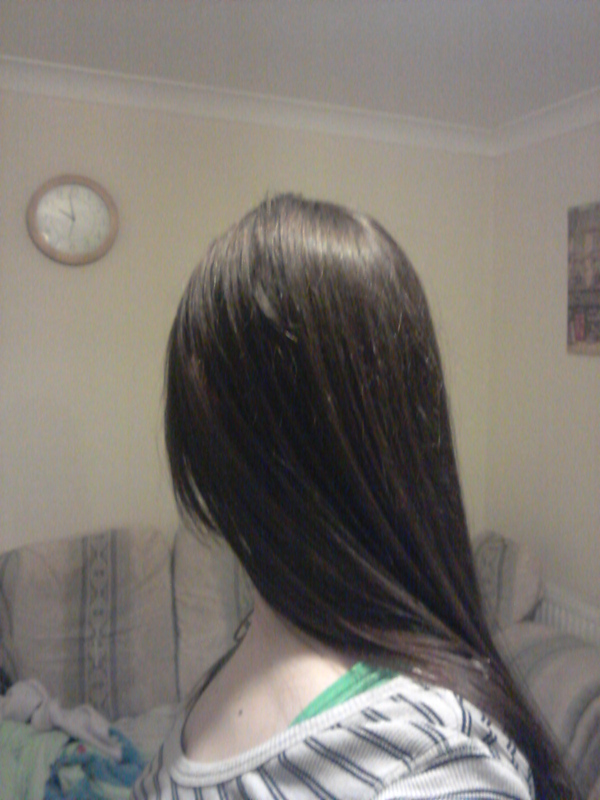 My mum came round and cut Callums hair later on it the afternoon as it was a little long. My mum is a hairdresser so we are lucky. Friday night was pamper night!! Phil went out for the night and I really didn't mind as I was going to try fake tan for the first time and I didn't tell him. For a couple of reasons, I knew he would question how much it costs and would laugh if it went wrong. Luckily It was a success!! 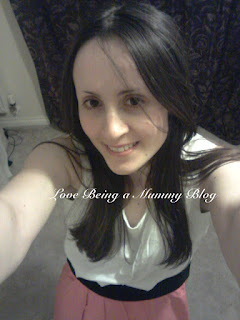 Saturday morning Phil was in bed so I caught up on my blog and other blogs around 'mummy I want'. I was able to have a while to get myself ready for my first night out in too long. 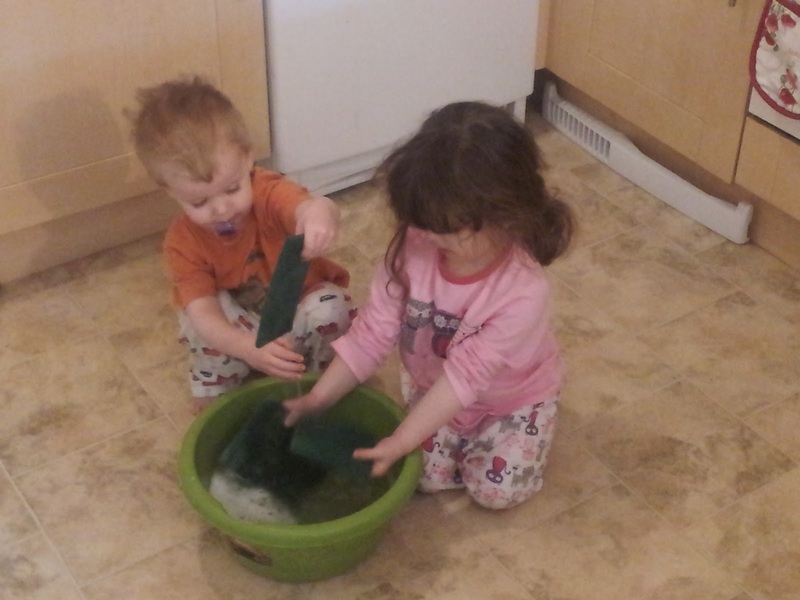 The children also had a great time helping me clean my kitchen floor. I thought I was going to wake up with a hangover but no I was fine, a little tired but could handle that. It was a tidy up day as its back to normal tomorrow with preschool. We have had a fun day laughing a lot. 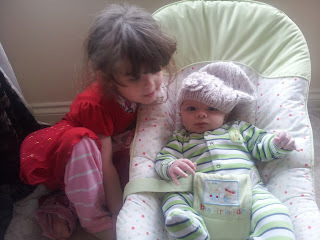 Annabelle put my hat on Joseph and this entertained them for ages. 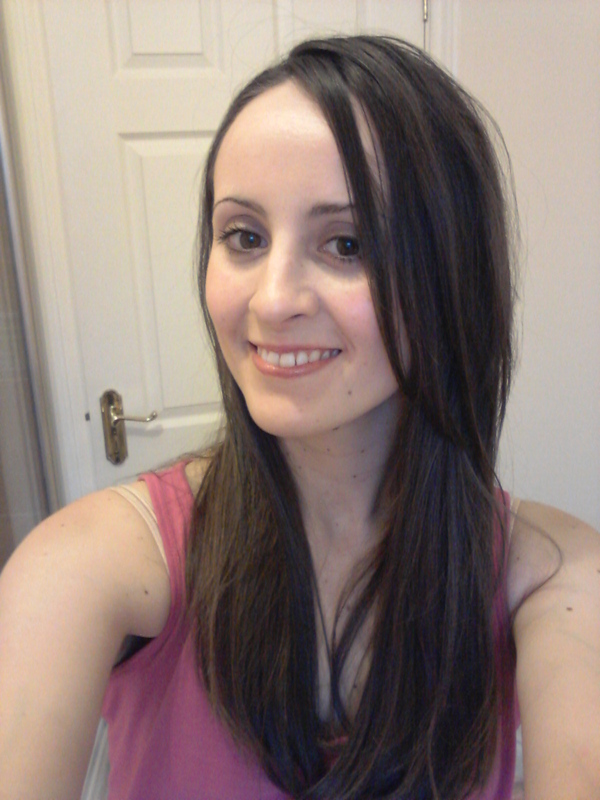 27 years old and used fake tan for the first time!! 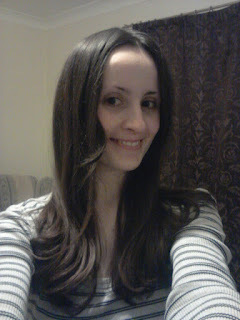 Well I am going out tomorrow night woohoo! 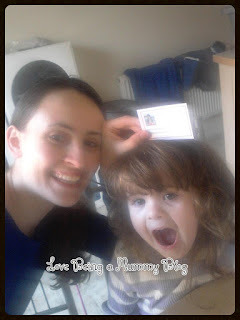 I havn't been out other than a trip to london since before I was pregnant with my 2 year old! I deserve a night out! 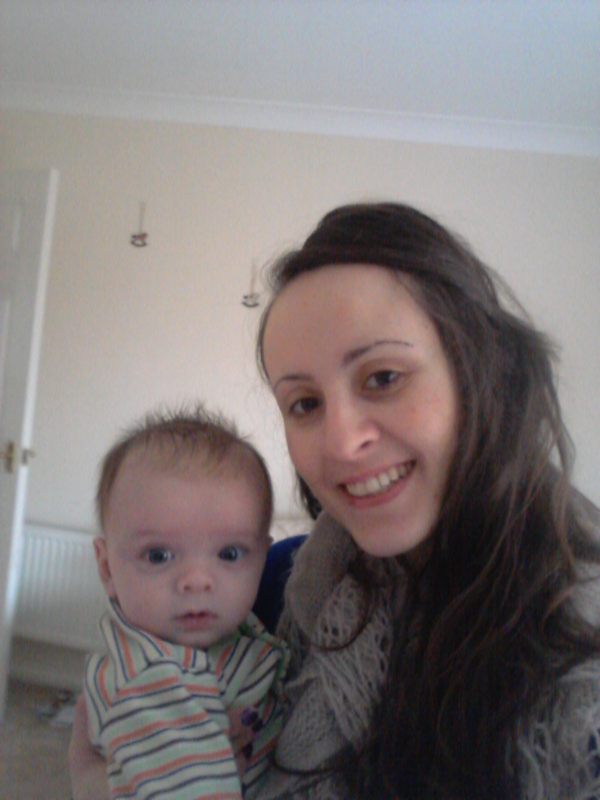 Joseph is now 12 weeks old and I feel ready to let me hair down for 1 night! After looking at myself in the mirror ( as I do not do this often) I had the shock of my life! My legs were so pale! I needed fake tan. So what did I do? I turned to the blogging world. I googled best bargain fake tan bloggers and St Moriz was the most popular and for £3 I couldn't resist. I followed the advice and bought the mit too. 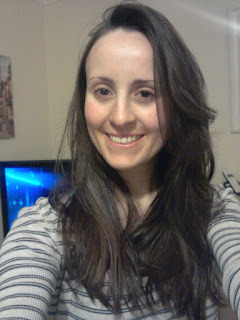 So tonight my other half went out and I had a pamper night! So as the title says it was my first time using fake tan, I just wasn't bothered before. I have to admit I was scared and watched quite a few you tube tutorials as If I made a mess I would not go out and this could not happen!! 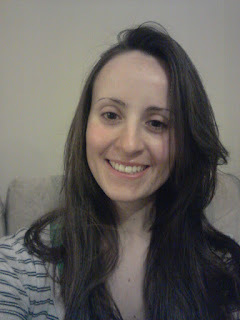 The photo was taken about 30 mins after I had applied! So far so good! 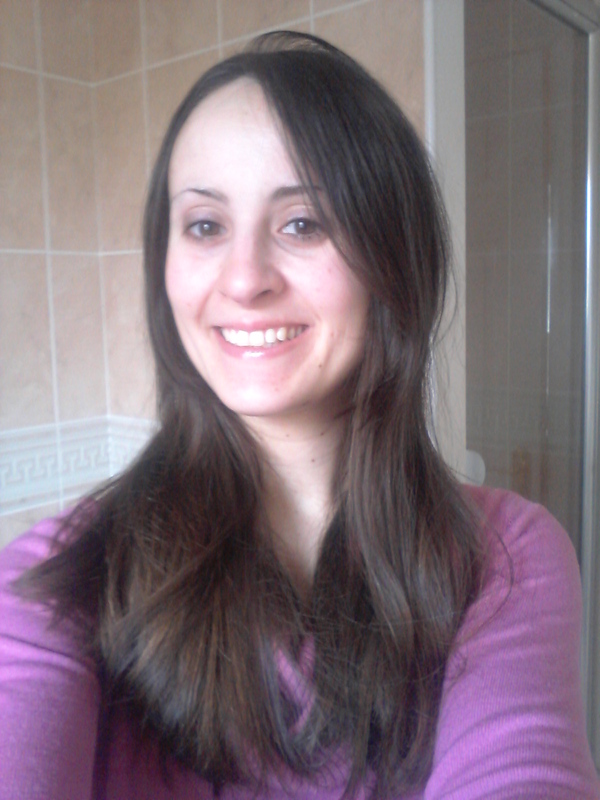 I have to admit I do feel more confident! We went to a local lake to feed the ducks as we have been stuck in due to a horrible sickness bug Callum has had for a few days. Phil and I stood in the garden in the sun and both decided we should all get some fresh air! Do you ever remember reading 'Five minutes Peace by Jill Murphy'? As a child I used to think why does mum and dad elephant want peace and quiet. You soon realise when you become an adult we need some time to ourselves. The great thing about children is they just get on with it! Brilliant little things aren't they!! Since becoming a mum of 3 I have had a lot less time to myself. I think a newborn takes up a lot of your time especially a baby with reflux. I remember when Callum was a baby it did get easier when he was about 6 months as he could entertain himself and Annabelle and him would play. So we are still at the tricky stage. Even though my babies are my world I do need my own time to function. Like now to write my feeling down. So all I can do is plod along and try and get a balance. 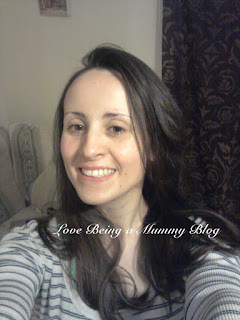 Right now I am getting some me time whilst my two boys are sleeping each side of me! Just lovely!! Before I was a mum I didn't realise how much time and things I had for just me. When I only had Annabelle I remember saying ' I can't even have a piece of toast to myself' Does this ring a bell?? Every Mum deserves a pampering every now and then ( I think a lot more but we know that just isn't possible) and Mothers day is just around the corner and its the mummy law that we HAVE to be spoilt! 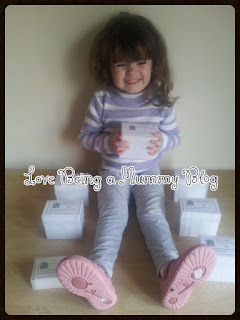 I just know you would love to win an Afternoon Tea for Two! 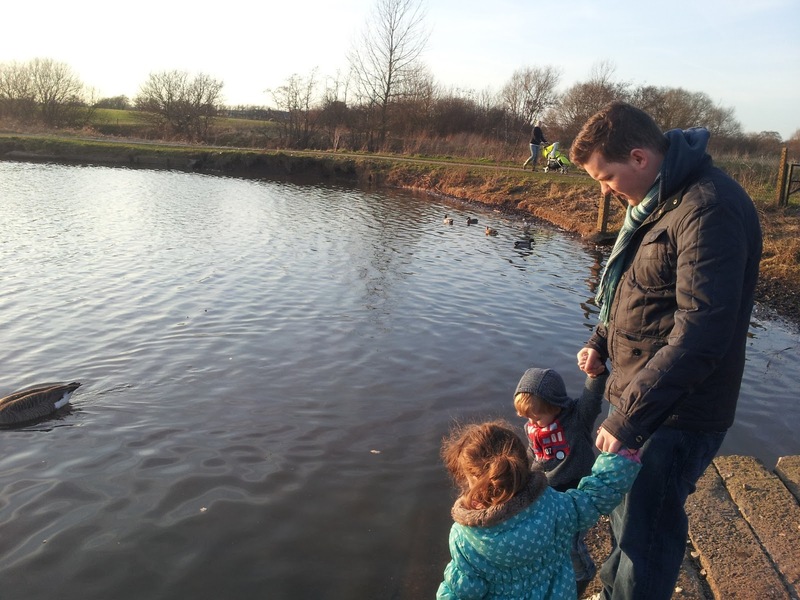 An amazing Mothers Day Gift would be an afternoon off from cooking cleaning and looking after the children. Love Being a Mummy have teamed up with BUYAGIFT.COM to offer 1 lucky mum( or dad but you have to promise to take the mum out) a afternoon tea for two worth £35 across 1 of over 80 Locations across England, Scotland and Wales! All you need to do to be in with a change is fill in the rafflecopter form! There is a change to gain some extra entries too!! Good Luck and I hope the winner has a lovely time!! I'm finding it very hard to think about anything else other than the tragic loss of Jennie from Edspire's baby girl Matilda Mae. I am sure I am not the only one. I keep thinking how can life be so cruel? I am heartbroken for Jennie so I cannot comprehend how she is feeling. It is just awful. Like everyone I want to turn back the time and stop Jennie and her husband from the heartache. Nobody should have to go through that pain. 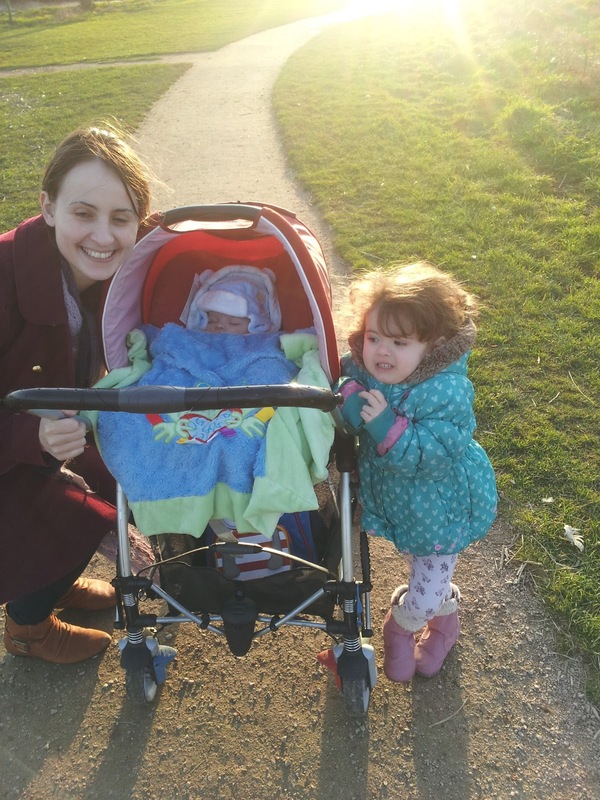 Thank you Jennie for sharing your tragic story I have now taken the blankets from baby Joseph and bought a baby sleeping bag. It is going to take time for him to get used to it as he loved the blankets by his cheek but Jennie's story has made me not want to risk it. 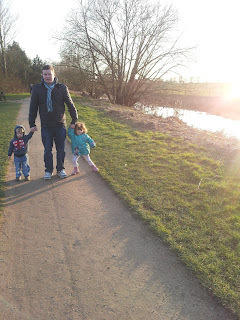 I have given my children more time. I am very thankful I was able to watch Joseph fall asleep in my arms earlier. As he fell asleep he had a huge smile on his face. He was happy and knew he could feel the love I was sending through to him. I could feel the love back. I have to admit like every parent I need some peace and time to myself and children do not understand that. They do not need that time I guess. If I start to get annoyed something clicks inside me and I think how lucky I am to have Annabelle and Callum who love me dearly. I love them so much. I believe this world is about growing and learning. You learn from everyone around you and in this day and age with the power of social media we can learn and grow from people all around the world. We then become better people. Stronger people. I also believe that when I am low I can turn to people that have passed. My Nana is the person I think of most when I feel low. I ask her to help me. I feel the help. We all need some guidance and if you ask for it, it is there. I think you meet people for a reason. People are in your life for a reason. I have certainly become a better person thanks to Jennie's Story. "Our beautiful daughter Matilda Mae was taken from us last night to join the angels in the sky x RIP Beautiful angel daughter x We love you x"
Her baby girl who was only 9 months old, had started crawling that very same day and every parents worst nightmare happened. After reading this I could not blog or enjoy my time as I could not believe what this poor family was going through. Jennie is being amazingly brave. 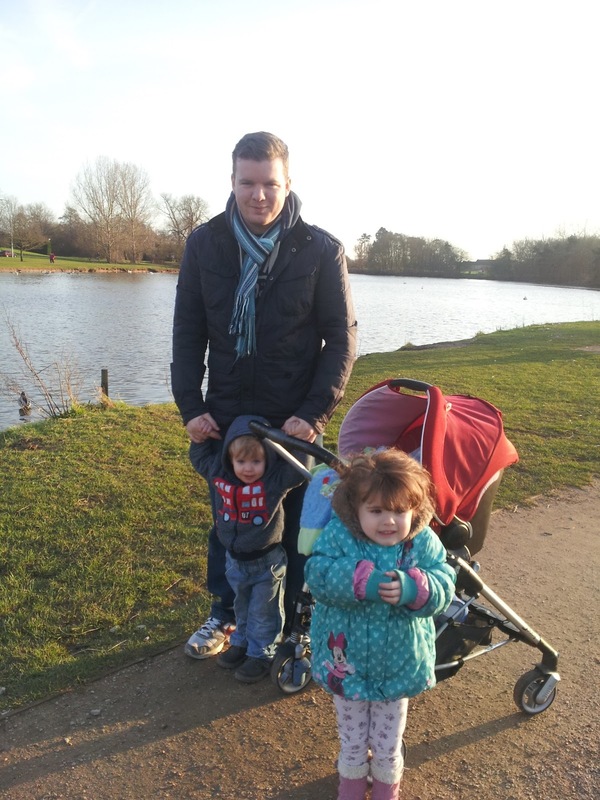 Matilda Mae and her family made me realise that nothing else matters except your family, your babies. Joseph was awake most of the evening, I didn't care I just held him. I thought that worrying about money and housework was not going to happen anymore. Since I have enjoyed my Children and haven't take them for granted. I have listened more, I have kissed and cuddled more and I have laughed with them more. I have put them first at all times as they are my world. 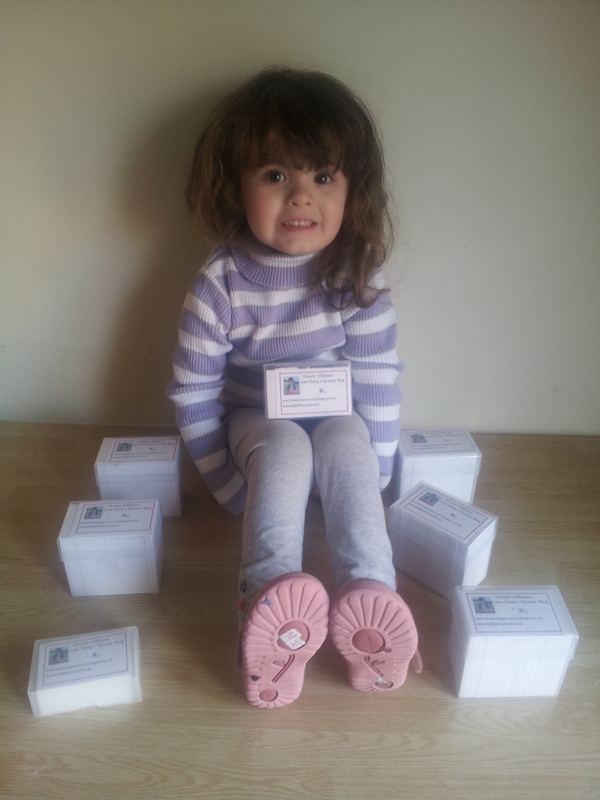 Matilda Mae you are a little star and have touched so many people's hearts, mine included. I am sure because of your story children are being given a lot more time and affection. Thinking of you! 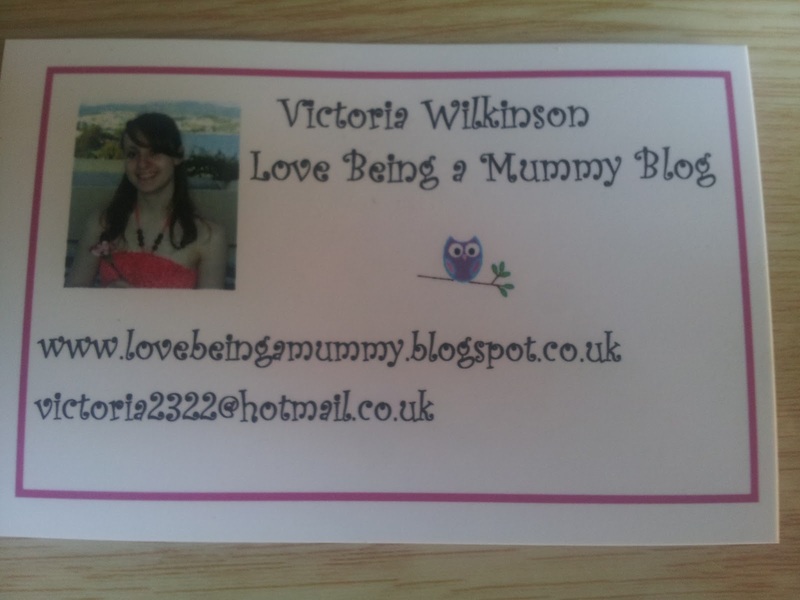 I have an amazing Giveaway to share with my lovely followers. I have wrote my review on KiddyCharts HERE and now one of my lovely followers will have a free subscription to create and download your own Charts. The Winner will receive 10 credits so you will be able to create 10 Charts!!! 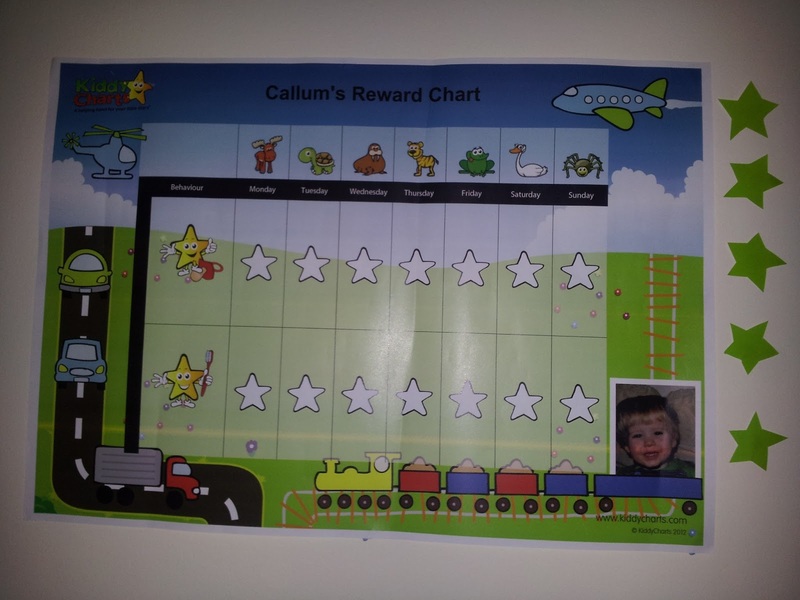 KiddyCharts reward charts have really helped us and i'm sure you think its a great idea also. From recently using the charts Annabelle has wanted to eat all her dinner up, likes to clean her teeth and also let me wash her hair without screaming due to the water near her eyes. I was very impressed! Why don't you enter and give the Charts a go!! Have you heard of KiddyCharts? I have mentioned in a earlier post how we have been having problems with Annabelle using the toilet. Luckily we are getting there but I felt that she needed a little motivation, I thought that a reward chart would be perfect. 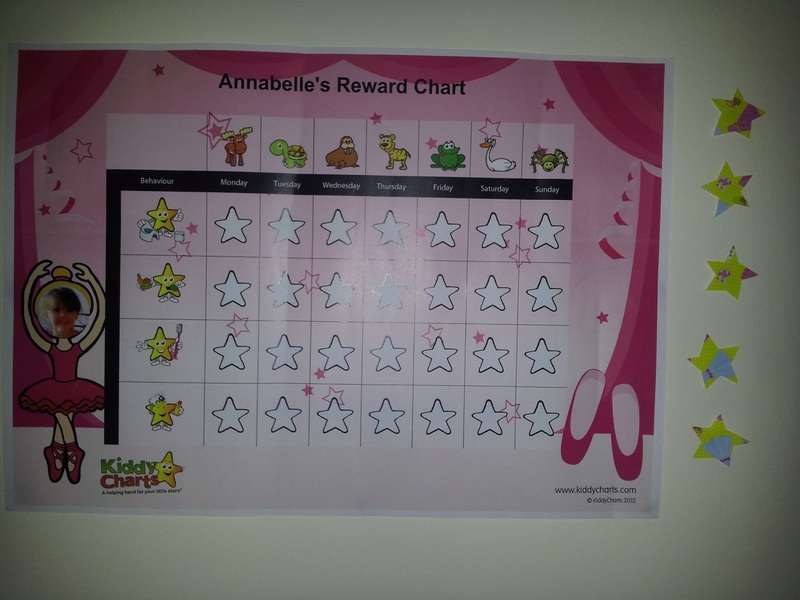 I got talking online to Helen Neale who owns Kiddy Charts and she kindly let me review the charts to see if it would give Annabelle that encouragement she needed. It was very easy to create. 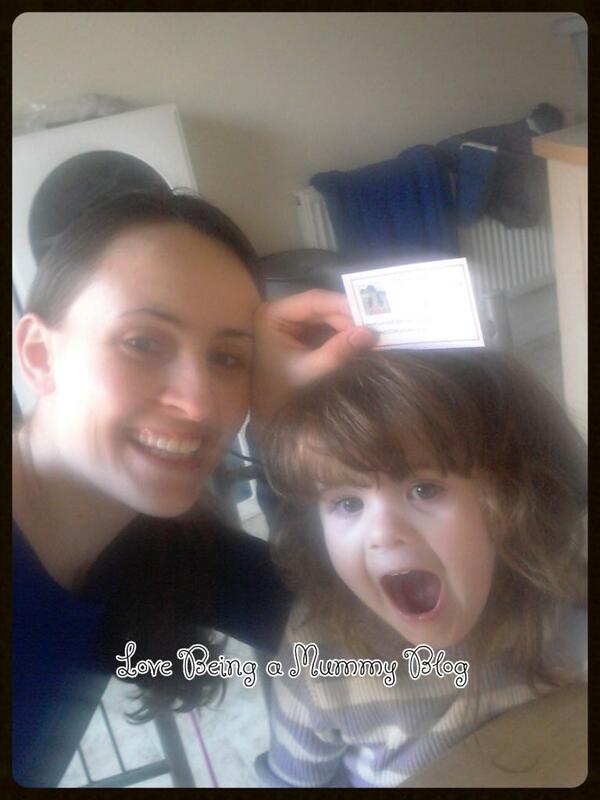 You just add your child's name and photo to customise which makes it individual to your child. Then choose a background which suits your child's age and interests! What I found brilliant was you can choose the behaviours to suit your child's development and how many they are able to cope with. You can choose stars star coins or ticks and whether you want the behaviours as just images, text or both. 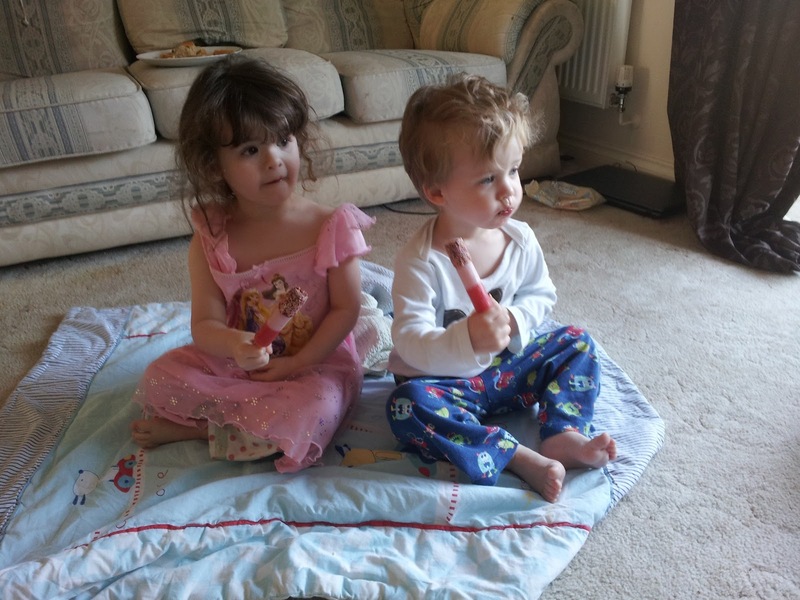 These are the 2 charts that I designed for Annabelle and Callum. Annabelle is a ballerina fan and so I knew this is what she would like. Callum is very interested in transport and I knew he would love to look at the images. 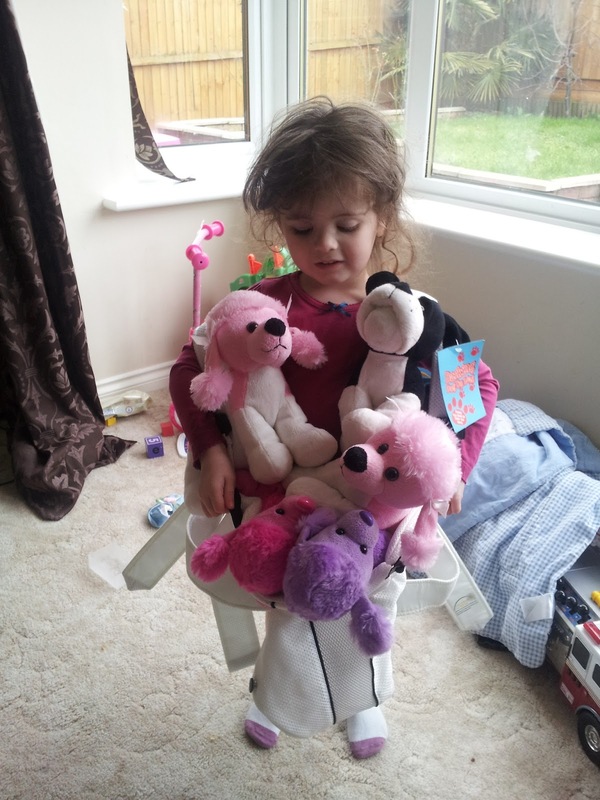 As Annabelle is almost 4 I choose 4 behaviours out of the limit of 5. As Callum is only 2 I choose a couple. We printed them ourselves and the finish is fantastic using Phils at work printer :) I made little cut out stars as I want to take a star off them if they don't try so in encourages them to keep there stars. Both Children loved their charts. Annabelle understood it straight away and Callum liked looking at the design. 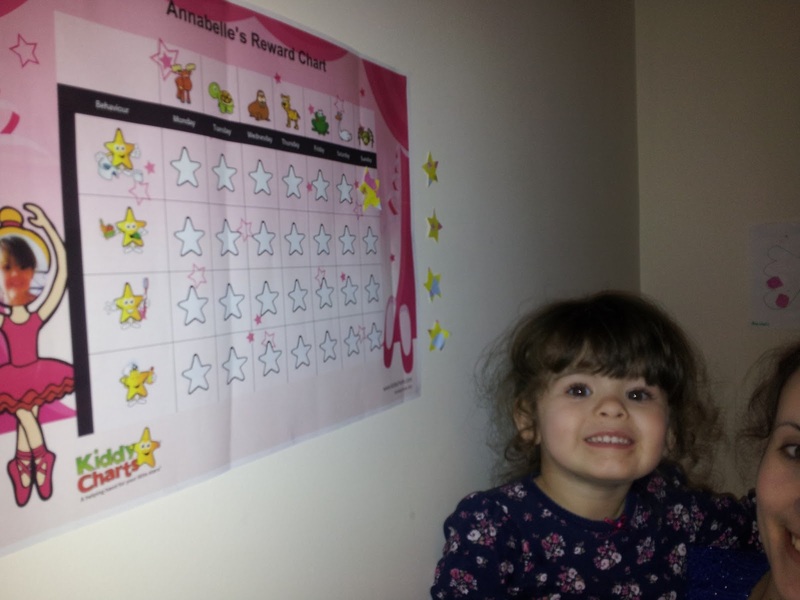 Annabelle was very excited about accomplishing the behaviours. She even washed her hair last night for the 1st time in a long time without screaming, I can't believe how much the chart gave Annabelle that confidence. Her other tasks were cleaning her teeth, eating up her dinners and tea's and using the potty or toilet. She still has the habit of withholding but when I mentioned the chart she sat on the potty quickly and was very proud of herself as you can see from the above pictures. 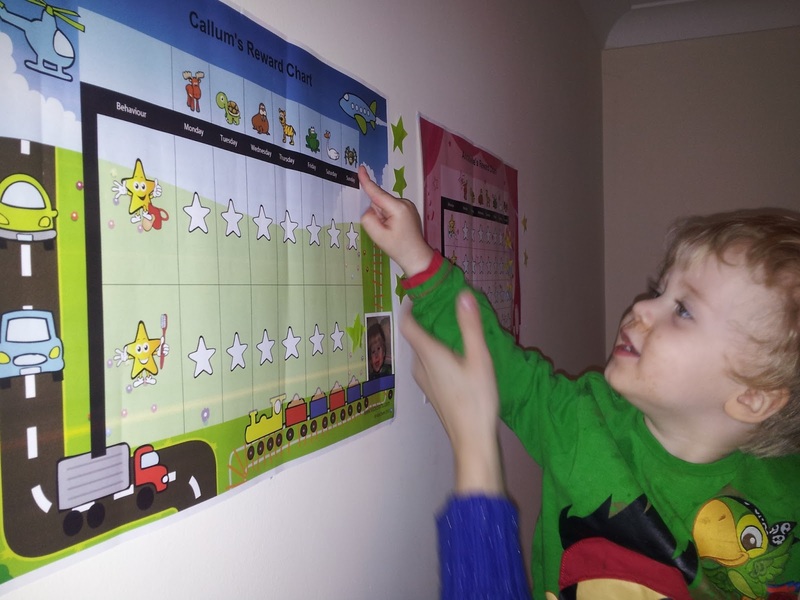 I defiantly recommend KiddyCharts to parents for Children of all ages, my nearly 6 year old brother really wanted one as he can do behaviours such as being polite and doing homework. They really can be personilised by you to suit the child. 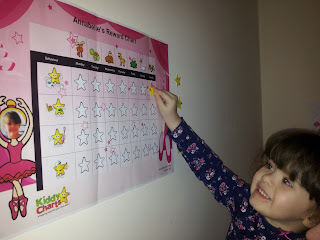 The chart is really helping Annabelle with her tasks, she even wanted to tell her nursery teachers so they can let me know later. 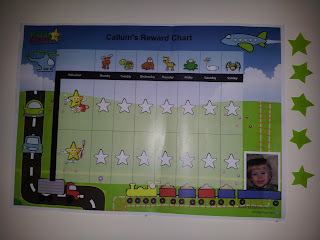 I was also a nursery nurse and do know that these reward charts help and honestly I am very impressed with the charts. Prices start at £2.99 however paying for a subscription works out cheaper! 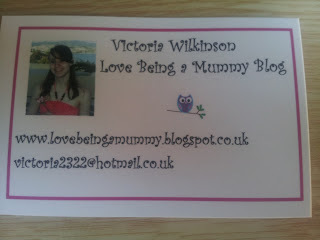 If you would like one of the fantastic charts for your little one click on the link on the right of my blog!